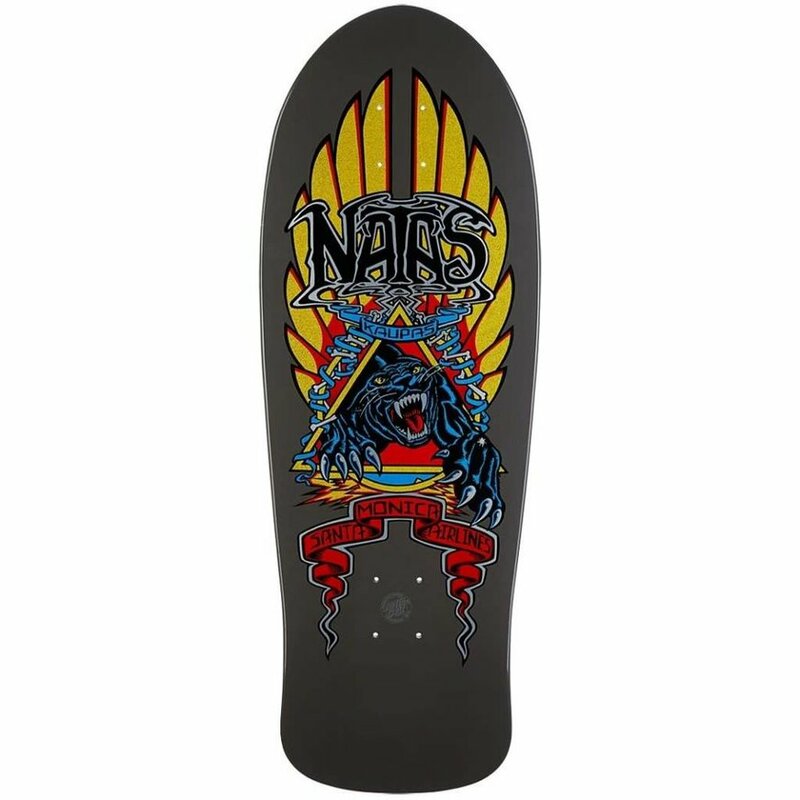 Recognized as the first true professional skateboarder Natas Kaupas, in many ways, paved the way for modern skateboarding. 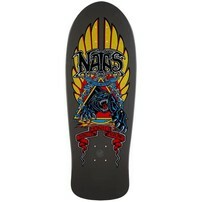 The Natas Panther Reissue 10.5" skateboard deck from Santa Cruz is an updated version of a 1980's pro model. With a fish tail and an oblong nose, this retro design has a traditional seven-ply maple construction and is finished with a signature Natas graphic of a roaring panther. Width: 10.5" | Length: 30.14"